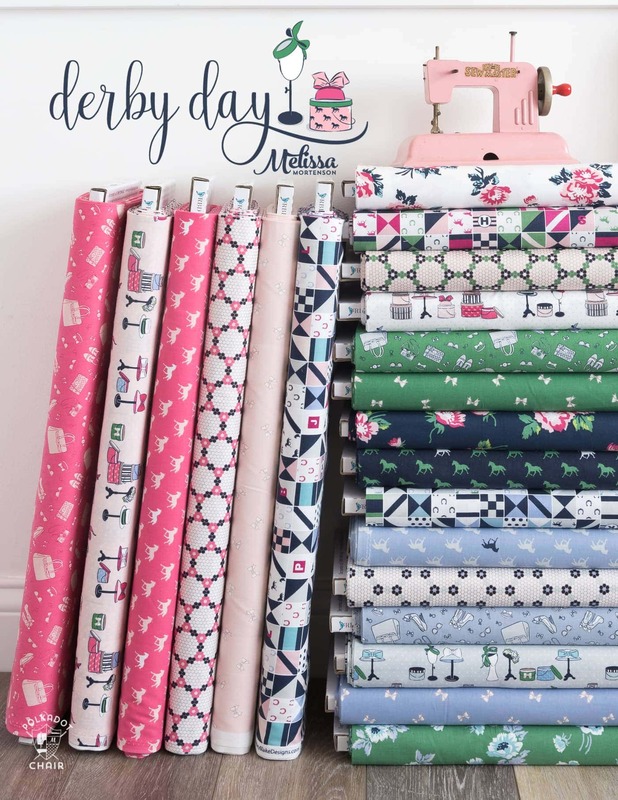 This week we kick off the Derby Day Fabrics blog tour with a post from Heidi Staples of Fabric Mutt! 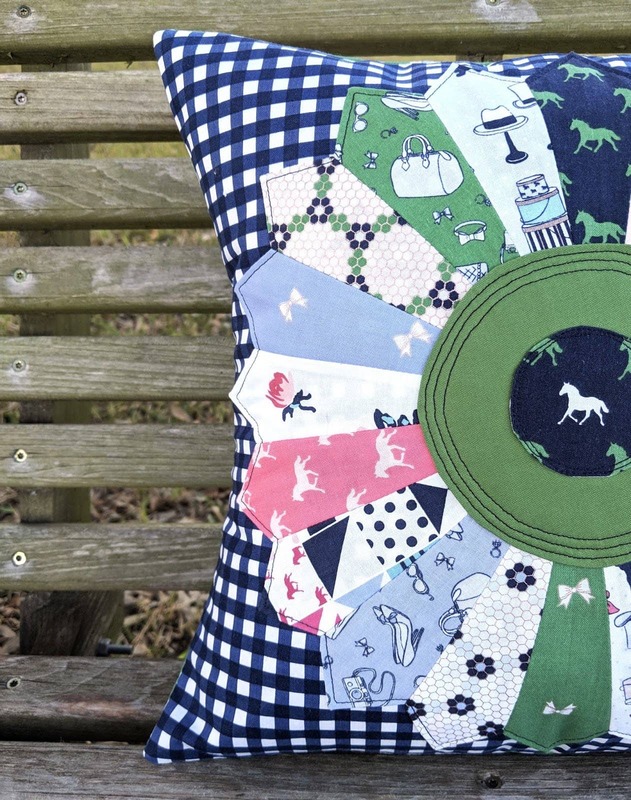 She created this Dresden Quilt Block pillow and I’m seriously smitten! 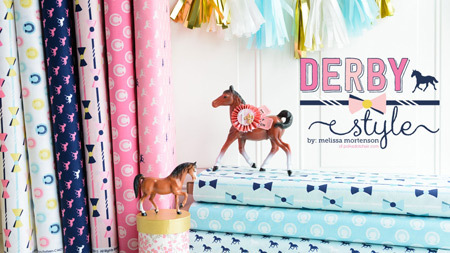 I can’t believe it’s already time for the Derby Day Fabrics blog tour! 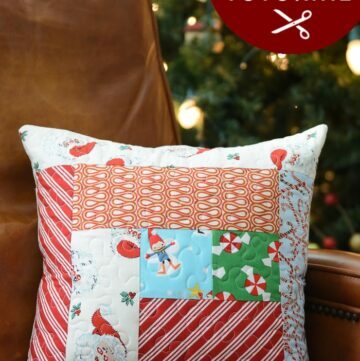 I swear in my head it’s still November, not March. . My perception of time seems to get worse the older I get, I’m sure it won’t be long before I think it’s Christmas in July! 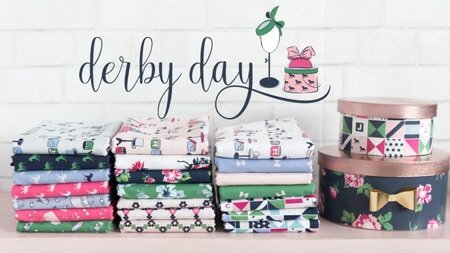 Each week for 4 weeks, someone will share with you a project or tutorial using Derby Day fabrics, I’m so excited to have Heidi on the tour this time around. 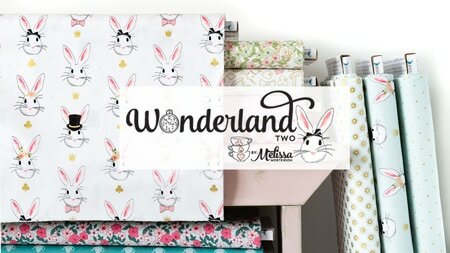 For those of you that don’t know her, she runs a blog called Fabric Mutt and has designed fabric for Riley Blake. 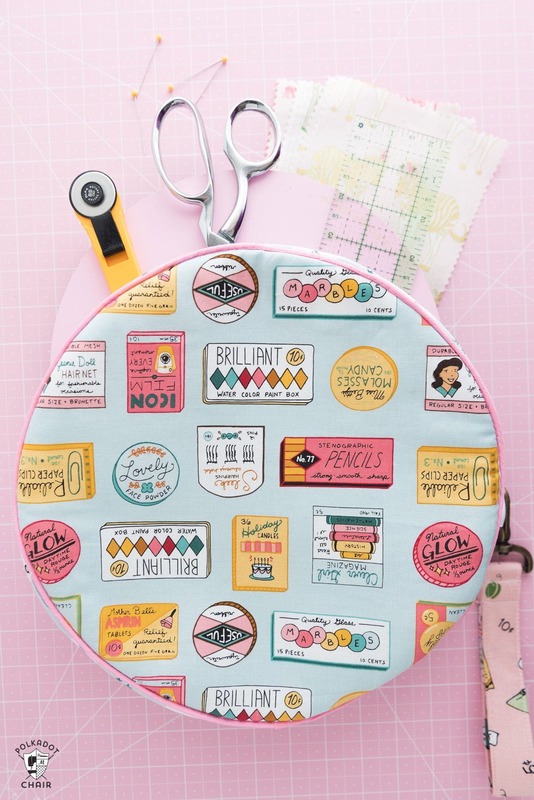 This Alice bag that I created last summer uses here ADorABLE line called Five and Dime! You can still find it in stores. 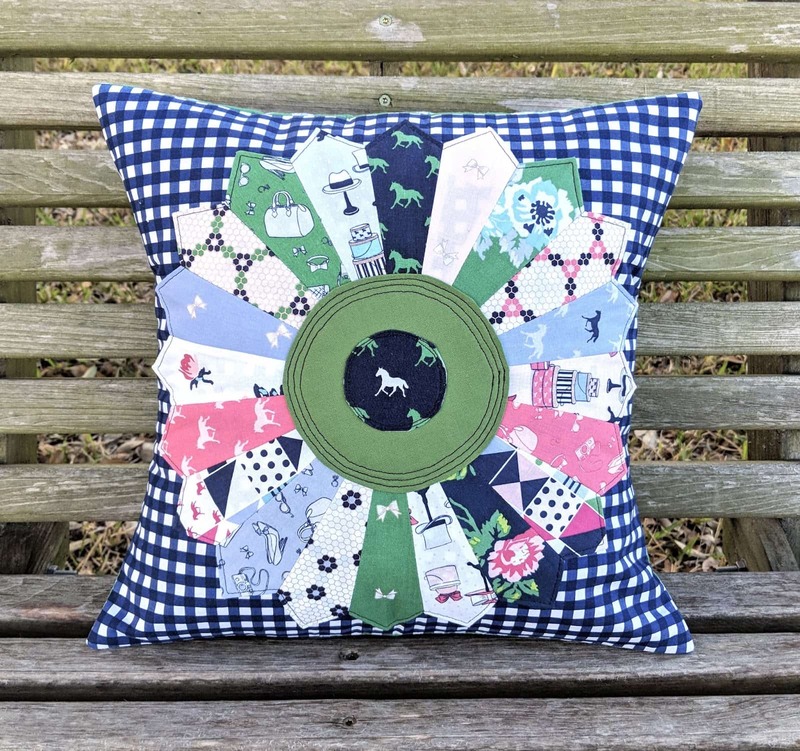 For her project, Heidi created this Dresden Block Pillow. 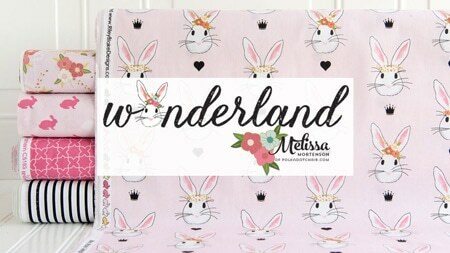 I swear it has 2 of my favorite things all in one and I’m in love! 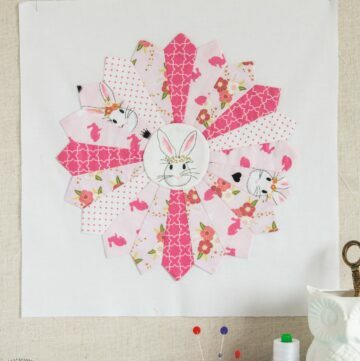 I can never get enough Dresden blocks and always want to make everything with gingham! 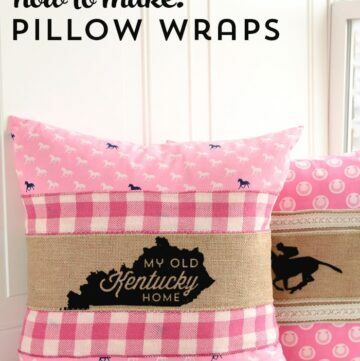 To find out more about the pillow, just hop on over to Heidi’s site by clicking HERE. 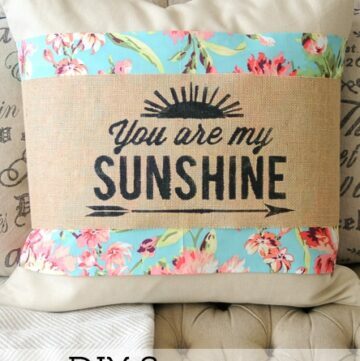 I love this pillow and the reading bag. Both are fabulous. 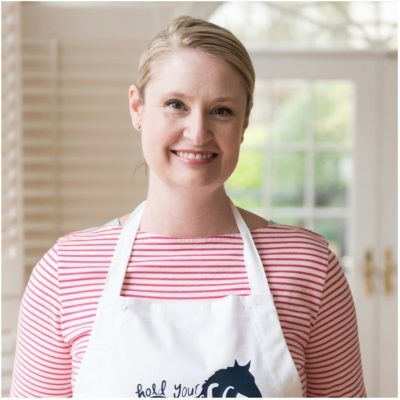 You keep nailing it! Thank you!!! !